The new Kuala Lumpur Low Cost Carrier Terminal KLIA 2 finally opened on 2nd May 2014 with major tenant AirAsia / AirAsiaX moving in a week later. There are a number of convenient KLIA 2 transport options for travellers going to or from the airport. 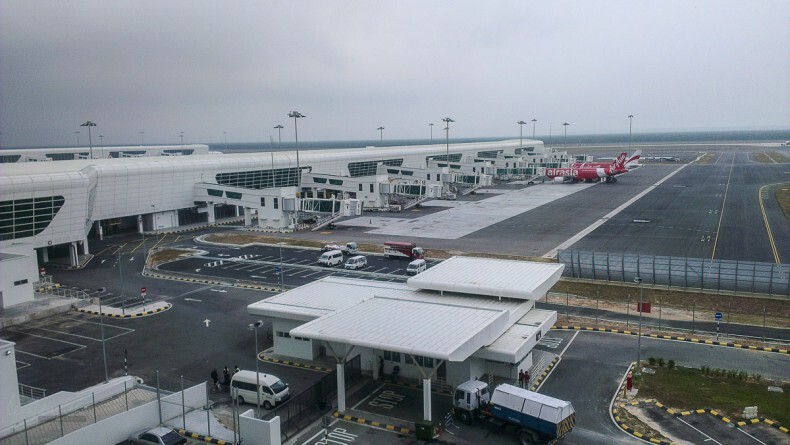 Getting to and from klia2 is much more convenient than the old LCCT. Whether you park your car or arrive by train, bus, private (or share car) or taxi, you must make your way to the top level of the main terminal (Level 3) to check in. 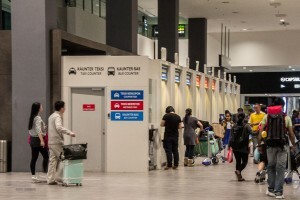 By car, follow the signs to Departures, the entrance is on Level 3, a short walk to the check-in counters. 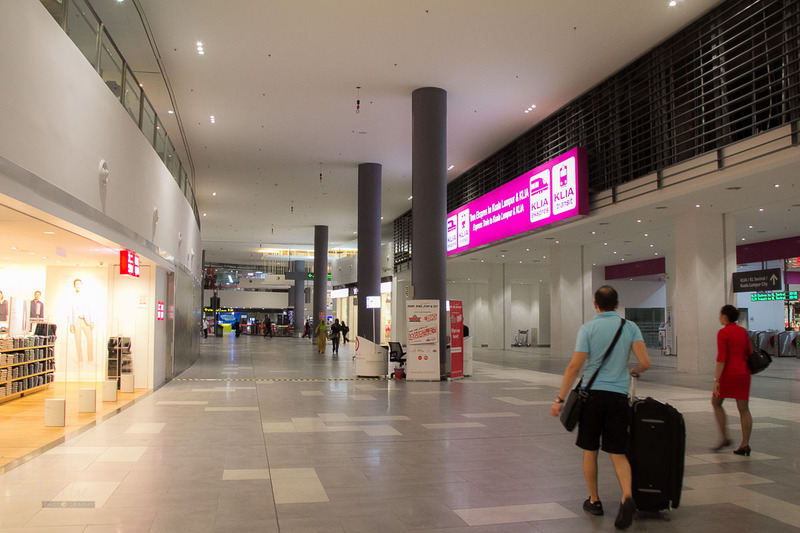 ERL on right, Luggage Storage at the end, Uniqlo on the left. One of the biggest improvements is that you can now catch the KLIA Express / Transit to or from the main KLIA Terminal and the KL terminal in KL Sentral. 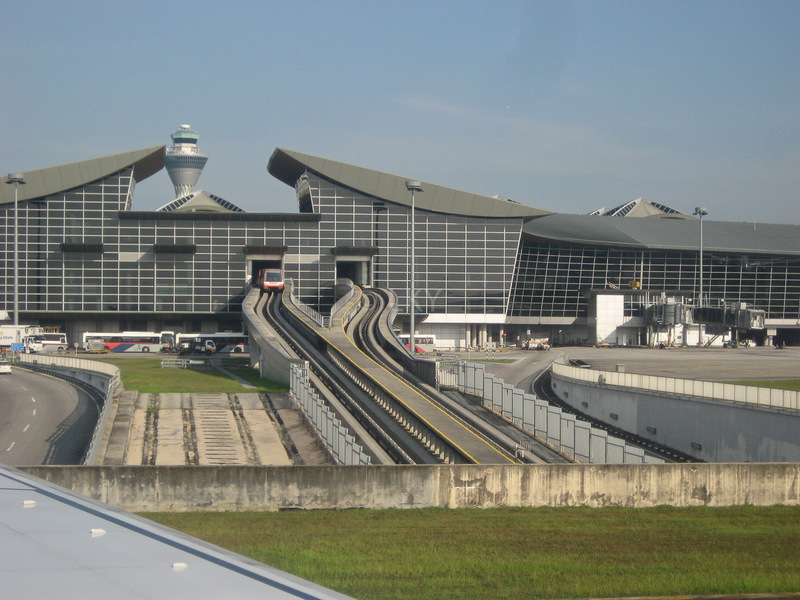 The track has been extended from KLIA and now terminates conveniently on Level 2. The ride between the two terminals costs MYR 2 and there are between 6 and 9 trains every hour. To KL Sentral, the main railway station in Kuala Lumpur city. 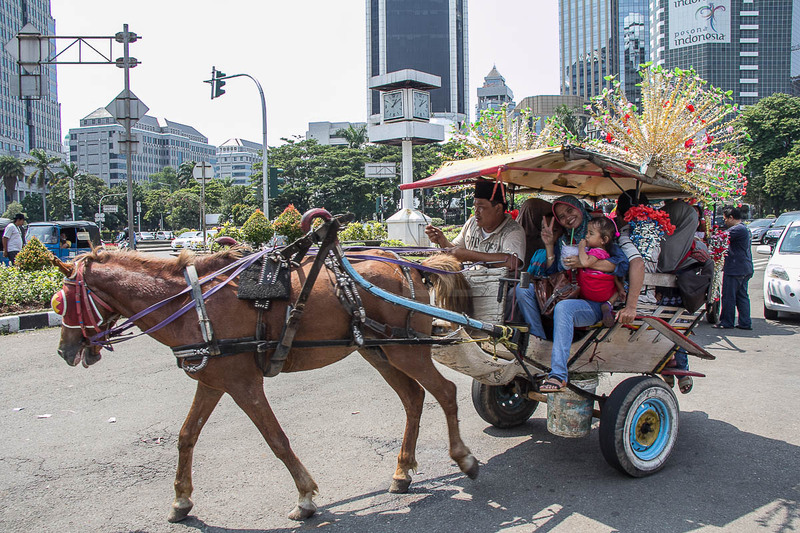 The fare is MYR 55 and the trip takes just over half an hour. You’ll get a discount if you purchase your ticket at one of the kiosks near the gates. The least expensive method of travelling between the city and KLIA2 is to catch the KTM Komuter train (Seremban line) from KL Sentral. Travel to Nilai Komuter Station (RM4.70) and ansfer to the feeder bus (RM1.50). The journey will take about 40 minutes on the train plus 15-20 mins on the bus. Be aware that the trains are usually very crowded during morning and afternoon peak hours. There are women only carriages in the middle section of the trains. 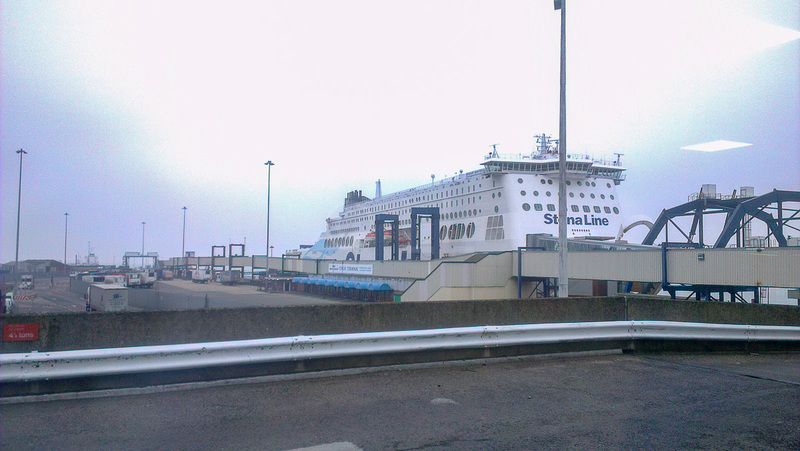 For Bus services to and from the airport from other locations not on a train route, a number of options are available. Many offer online ticket purchase. Longer distance buses are available to such locations as Genting Highlands and Muar. 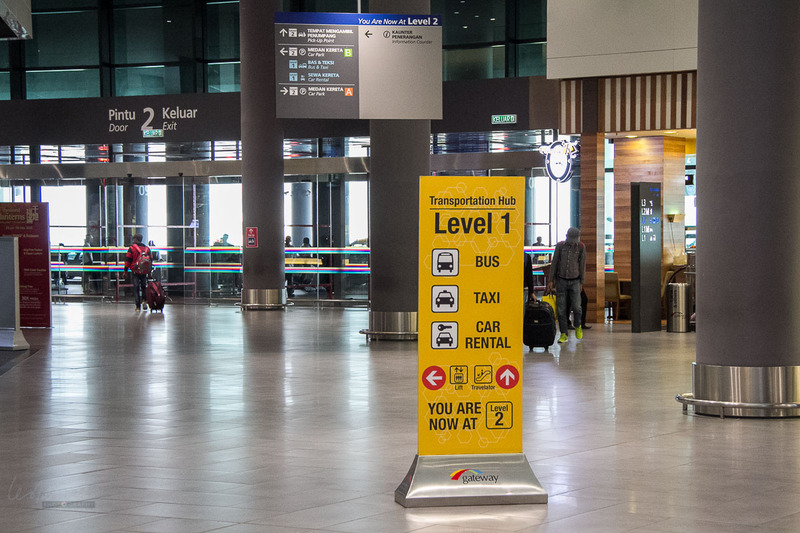 All taxi and bus services can be found at the Transportation Hub on Level 1. For those driving their own vehicles, there is ample parking with autopay machines on Levels 1, 4 and 7. Access is by doors at both sides of the central walkway to the exit on Level 2. Overnight, Long term and Valet parking facilities are available at the carpark and Touch’nGo cards are accepted for parking if you have more than RM20 remaining credit. 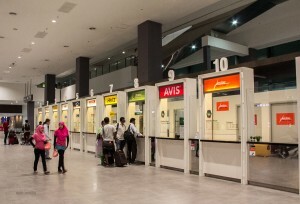 On arrival into KLIA2, after passing immigration and duty-free, baggage collection, international and domestic passengers enter the general area of the terminal on Level 2. If you can resist the food outlets, there are many lifts and escalators to ease your way down to the Transportation Hub.